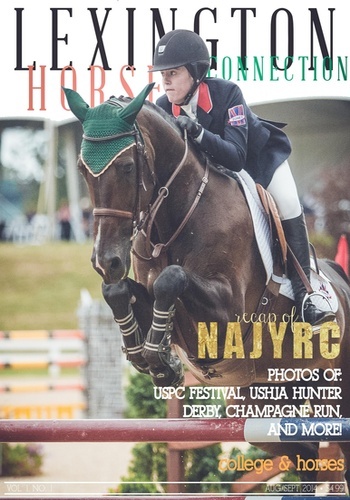 Lexington Horse Connection is a new equestrian lifestyle e-magazine based in the heart of Horse Country. LHC focuses on the lifestyle of equestrians, whether it’s competing moms to college students learning to juggle riding and school. We feature newsworthy stories that take place here in the heart of Horse Country, and feature top-notch photography from all photographers. The result? A equestrian publication suited for everyone. We invite you to discover LHC for yourself.